DESCRIBE WHERE SAEON IS TODAY AS AN ARTISTE? unheard sound. Saeon today is one of her kind — There hasn’t been another prior to this; She has a fresh look and sound — Never been seen or heard in this market; Her growth has been gradual in the past, a bit rapid presently but importantly organic. WHAT SHOULD THE INDUSTRY EXPECT THIS YEAR FROM YOU? The industry should expect a Saeon Moruda that sparks a paradigm shift this year. The new wave has already begun, with the release of the R.I.C.O Freestyle, STORÍ and the DÉ BÈ Movement. Thankfully and miraculously so, they have all been received positively, topping charts nationwide, the DÉ BÈ movement being the most accepted with the release of DéBè, its Remix, Cypher and the Viral Video featuring AT, Poe, Eva Alordiah, Ozone, Tesh Carter and Ycee. It has even been described as “One of the dopest HipHop tracks outta Naija right now” – Olamide Adedeji. 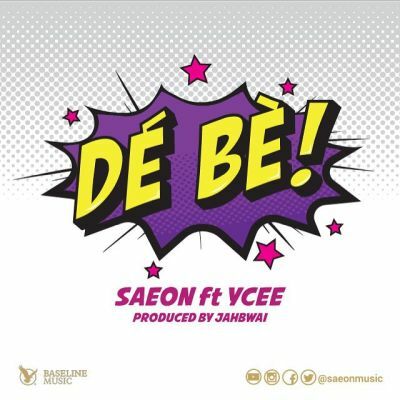 It also sparked up a comment by Osagie Alonge who asked “We all gonna act like Saeon’s #DéBè ain’t a jam?” The singles STORÏ and DÉ BÈ are precedents to her soon to be released Mixtape. The mixtape will centre on her journey through the industry and life in general, with a motivational message of self acceptance and belief. She intends to put out more visuals to support and further promote the Mixtape. Saeon as an artiste is more than just a Singer/Song Writer. The #BoyChick Saeon Moruda brand is a lifestyle brand that is evolving beyond just the music. With a total of #87Swags that are summed up by her signature #MorudanBraids or #NaturalMorudanHair, her various Bag Packs, her overall #BoyChick demeanor and importantly, her artistry and musical content which currently centres on her personal experiences juxtaposed with the essence of personal growth, the rise, the fall, the struggle, the acceptance, the rebirth and eventual lane creation and occupation. Today the Morudan sound is definitely resonating with the Nigerian audience and has lead to the emergence of loyal Morudans who are growing by the split second and have started adapting the #BoyChick lifestyle so to answer the question; Yes Saeon has evolved to a brand that she wants Nigerians to understand her as. She will however unravel the different facets to her brand as time goes by.